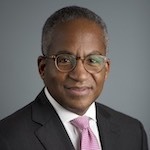 Lionel C. Johnson became president of the Pacific Pension & Investment Institute in July 2014. His career spans more than three decades during which he has been a leader in international business, public policy, and economic development. He has served as senior vice president of the Initiative for Global Development, as vice president of Turkey, Middle East, and North Africa Affairs at the Chamber of Commerce of the United States, and as senior vice president of Public Affairs at Fleishman-Hillard. Previously, Johnson was vice president and director of International Government Affairs at Citigroup and deputy assistant secretary of the Treasury for International Development, Debt and Environment Policy in the Clinton Administration. He was also a senior advisor for Resources, Plans, and Policy to Secretary of State Warren Christopher, and a member of the Department of State Policy Planning Staff. He served as deputy director of the Clinton/Gore transition team at the Department of State. As a member of the U.S. Foreign Service, Johnson held assignments in the U.S. Embassies in Haiti, the Philippines and Kenya. He also served as special assistant to Secretaries of State George P. Shultz and James A. Baker III. Johnson was a senior program officer at the National Democratic Institute for International Affairs. He was a graduate instructor of U.S. foreign policy and American politics at the City University of Manila, Philippines, and received his B.A. in political science from Rutgers University in 1982. Johnson is a visiting scholar of the Program on International Relations of New York University. He is board chair of ID2020 and a member of the board of trustees of the RAND Corporation in Santa Monica, California. Johnson also serves on the board of directors of Foreign Policy for America, the National Democratic Institute for International Affairs (NDI), Project on Middle East Democracy in Washington, D.C., the San Francisco General Hospital Foundation, and the U.S. Global Leadership Coalition. He has two children, Alicia and Christopher. 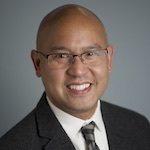 James Apostol is PPI’s vice president and chief operating officer, and he supports the Membership Committee of the PPI Board of Directors. Prior to joining PPI in 2018, he was the deputy director of Harvard Law School’s Program on International Financial Systems. 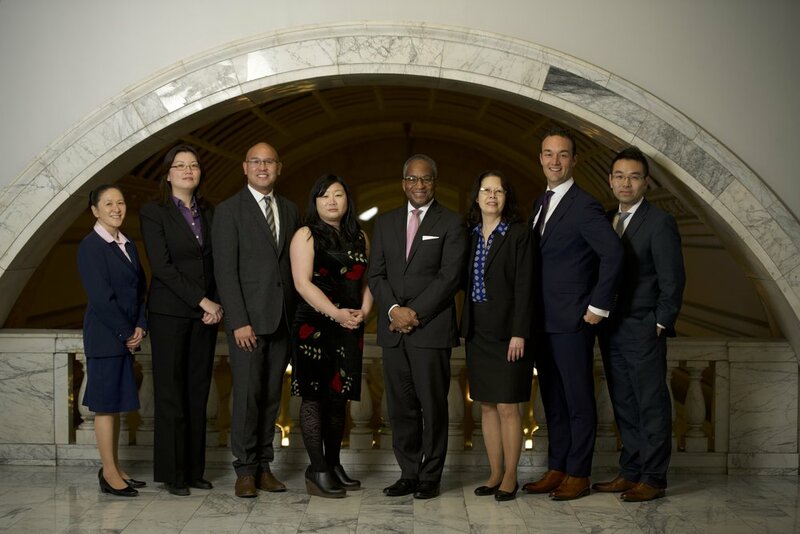 James served in various leadership roles at Harvard Law School, convening global thought leaders for dialogue on international financial systems and developing executive education programs for regulators of securities markets. Previously, he held management positions in the mortgage and publishing industries, and at a healthcare company that utilizes food as medicine. James holds degrees in literature from Boston University and sustainability from Harvard, and was a visiting fellow at the Center for Corporate Governance and Climate Change at the University of Chile, Santiago. James is passionate about small-scale organic agriculture and served on the board of directors at Stearns Farm CSA. Gwen Bough is the executive assistant supporting PPI’s president and helping to ensure that the daily operations of the PPI headquarters are running smoothly. Additionally, she provides corporate secretarial support for the PPI Board of Directors and its standing committees. For many years prior to PPI, Gwen worked in the corporate secretary’s office of a national bank based in San Francisco. Subsequently, she held similar positions in Washington, D.C. and Pittsburgh, PA before returning to the Bay Area and the legal department of another major national bank. Gwen is a member of the International Association of Administrative Professionals (IAAP). Sabina Gotuaco leads PPI’s financial management and accounting function as well as administration of HR policies and practices. She supports the Audit and Finance Committees of the PPI Board of Directors. Sabina has years of experience in the for-profit and non-profit sectors. Prior to PPI, she held several similar positions in California, including: chief financial officer/finance director for Notre Dame High School; chief financial officer/treasurer for Sisters of Mercy and Mercy High Schools in Burlingame and San Francisco; and finance director for the Sisters of the Holy Names. Previously, she was a senior consultant at Wells Fargo Bank, resource manager for the California State Automobile Association, and financial analyst for Delta Dental Plan of California. Sabina holds a bachelor’s degree in Accounting from the University of the East, a bachelor’s degree in Human Relations and an M.B.A. from Golden Gate University. Her current volunteer work includes servicing for three nonprofit organizations. 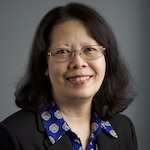 Piin-Fen Kok is PPI’s senior program director. Piin leads the development, implementation, and management of programs for PPI members, working closely with the Program Committee of the PPI Board of Directors, the management team, and the broader membership. Her professional experience, spanning over two decades, has focused on international policy and government affairs relating to the Asia-Pacific region, especially China. Before joining PPI, Piin spent 16 years in New York, where she held senior positions at a foreign policy organization and a brand owners’ association advocating global standards in intellectual property protection. Previously, she was a political journalist in Singapore during the Asian financial crisis. Piin holds a master’s degree in International Affairs from Columbia University, and she is fluent in Chinese. 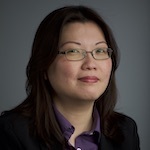 Shu Li is PPI’s program director, focusing on the development and execution of PPI’s programs and related initiatives. He also supports the Program Committee of the PPI Board of Directors. He has been in this role since March 2017. 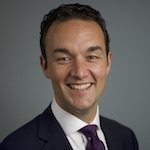 Prior to PPI, he spent several years with Markets Group, where he was head of programming with its U.S. Institutional Group, developing content and recruiting speakers for investment conferences. Before that, he was an investor relations associate and later head of investor relations for the firm’s Latin American manager roadshow product. 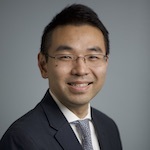 Shu has a finance M.B.A. from Quinnipiac University in Hamden, Connecticut and a bachelor’s degree from the University of International Business & Economics in Beijing, China. He also holds the CAIA designation. 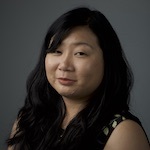 Evie Fong is PPI’s program manager, responsible for providing information and guidance to all PPI attendees, including members, speakers, and guests, to ensure a smooth and meaningful experience of our programs. She manages the registration process and coordinates the travel and event logistics. Additionally, Evie provides administrative and communications support for the management team, as needed. Born and raised in San Francisco, Evie is committed to improving her local community and currently serves on Star of the Sea Church’s finance council. Prior to PPI, she was actively involved in the volunteer and youth development programs of the American Red Cross and the Archdiocese of San Francisco. Evie is a proud graduate of San Francisco State University, where she earned a bachelor’s degree with a minor in Asian American Studies and an M.B.A.
Mark Mancao is PPI’s technology and design director. Additionally, he provides support for the Nominating & Governance Committee of the PPI Board of Directors. Since joining PPI in 2012 as the communications and membership officer, his responsibilities have progressively increased to include information technology, design, and the management of many special projects. He develops and maintains the PPI public website, members-only community site and mobile app, and the event management and registration platform. Mark is responsible for the technology infrastructure of the PPI headquarters—hardware and software, on-premises and cloud—and the protection of data and privacy. Since leading PPI's branding project in 2015, Mark has continued to design all of PPI's digital and print collateral, as well as signage, presentation decks, and video and webinar productions. He has accumulated over 20 years of experience working with global nonprofit organizations serving in communications, technology, and design-related roles as well as conflict transformation and mediation in New York, Chicago, Washington, D.C. and San Francisco. He earned a bachelor’s degree from Binghamton University and two master's degrees from Columbia University School of Social Work and Union Theological Seminary. Mark lives in Oakland, with his partner of 23 years and cat of 20 years, where he embraces minimalism, plays the ukulele, and fosters a fascination with distributed ledger technology (DLT) and the internet of things (IoT).